Hee-Bermiock , a small village is situated just at a distance of around 4.5 kms from Kaluk at West Sikkim. With the magniicent Kanchenjhengha at the backdrop, this tiny hamlet of Hee Bermiok has already gained attention of travel enthusiasts for its quite nature and mind blowing natural wonderness. The plae is bound by Rangit and Rangsang Khola in the East, the Kalez Khola in the North, Hee Khola in the West, and Samdong Reserve Forest and Hee Patal in the South, Hee Bermiok is at a distance of 155 kms from New Jalpaiguri (NJP). The place is being by birders due to the variety of bird population it offers. More than 55 species of birds featuring the famous Blue Fronted Redstart, Rufous Sibia, Himalayan Bulbul, Striated Bulbul, Mrs. Gould's Sunbird, Fire Tailed Sunbird, White Capped Water Redstart, Crimson Sunbird, Verditer Flycatcher etc and their mesmerizing chirps all around will surely going to win your heart for sure. Along with varied Flora and Fauna, sightseeing, like, Varsey Rhododendron Sanctuary, which is very close to Hee Bermiok, Pelling, Rinchenpong, Borong, Uttarey , Srijunga, Yuma Samyo Mangheem (LimbooTemple), Sirijona Cave and the Wadhan falls, Shivalaya, Kailaspati Alley Caves, Pheng Dogi Falls and Phur Cha- Chu can be undertaken. Hee Bermiok Tourism Development & Heritage Conservation Society organizes a annual Heritage & Tourism Festival in the month of May where locals take part with enthusiasm. Many tourists reserve their accommodation during this period well in advance. From Gangtok, it takes almost five hours to reach Hee Bermiok. From Pelling and the journey takes one and half hours and From Kaluk its a mere half and hour journey. By Train : The New Jalpaiguri Station (NJP) is the most know Railway Station nearby. It takes around 4.5 to 5 hours from NJP to reach Hee Bermiok. The station is well connected to places such as Kolkata, New Delhi, Chennai, Mumbai and Dibrugarh. Taxis are available at the station as well. Hotel Kanchenview is settled amidst the main area of Bermiok with heavenly views of the mountains and snow capped peaks of Mt. Kanchenjhengha and the valley. Rooms are equipped with Geyser and Attached Bathrooms. Hotel Kalej Valley is a nice hotel in the tourist centre of Hee Bermiok. 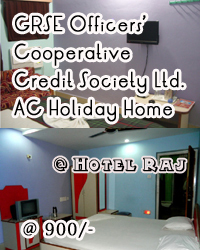 Rooms are equipped with Geyser and Attached Bathrooms.